Box design and calc by Mighty ZM , box production by Woland’s local Wood Meister . Presentation thread , after first listening impressions is at Baby Diyaudio . For non Serbian-speaking , just use translate function in Chrome , or go to this , already translated , page : Translation . Pics does not reveal its real size. 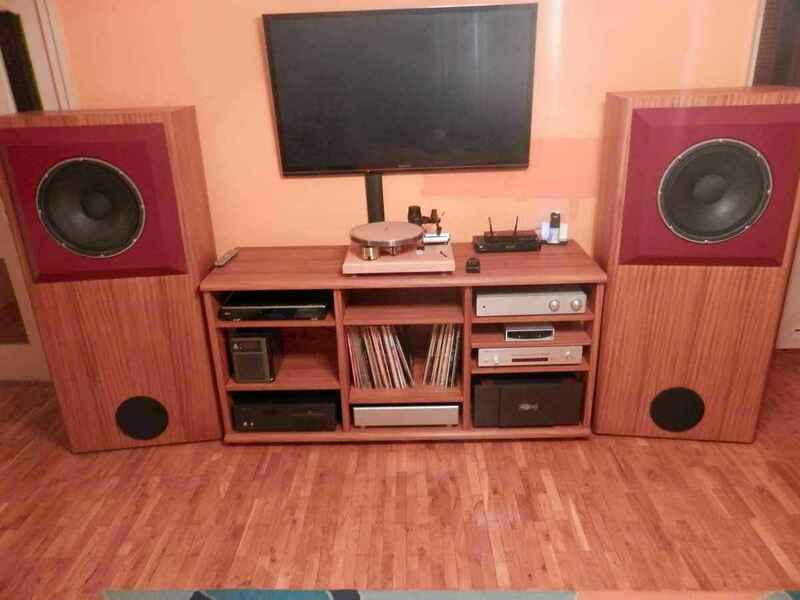 If I am not wrong those Tannoy Kompensators* are 1,4 m tall and about 0,7 m wide with depth of about 0,4 m.
Zen, are those internal or outside dimensions? is that making any significant difference 😉 ? Great work and as far as I know this could be the first vintage Tannoy MLTL. Congrats to you and to Woland for faith in project! Copyright © 2013 - 2019 Zen Mod. All rights reserved.